What could Tigers' rebuild look like in 2021? DETROIT - The Detroit Tigers are not very interesting right now. It's the final day of the Winter Meetings, and other than some distant noise about a Nicholas Castellanos trade, the Tigers aren't really involved in any of the league's top rumors. In 2017, the organization officially committed to a full rebuild, and even though the first few months of last season were a pleasant surprise on the field, reality hit hard in the second half. For the second straight season, the Tigers were one of the five worst teams in baseball, and that figures to be the case again in 2019. Detroit is at the point in its rebuild between ushering out the old core and bringing in the players who will someday contribute to a playoff run, if all goes as planned. The result is a team full of stopgap players who probably won't be here when the games start to truly matter. At times like this, we can only look to the future. Many fans are probably wondering, "What will this team look like when it's time to contend? Will any of these current players still be in the picture?" Most of them probably won't be, but there's more talent in the farm system and a few long-term pieces on the MLB roster. Below is a look at what the ideal Tigers' lineup would look like for the 2021 season, which is about the time the team should be on the upswing. There's one rule: To be on this list, the player must be under contract with the Tigers through at least the 2021 season. Rebuilds almost never work out so perfectly that every single position is filled by one of the organization's home-grown prospects, but so much can happen in terms of trades, signings and injuries, we're going to stick with the players we know will be in the organization. Full disclosure, this is probably the most optimistic selection on this entire list. Parker Meadows was just drafted by the Tigers in 2018, and if he makes it to the MLB roster in 2021, it would be a huge accomplishment. It's not unheard of in today's game, however. There are several instances of players making impacts at a young age. Juan Soto and Ronald Acuna were two of the best players in the National League, and they're both 20 years old. The World Series champion Red Sox played with a 21-year-old third baseman in Rafael Devers. At only 19 years old, there are improvements Meadows needs to make to become a leadoff hitter. But he has the skills to be the type of power-speed combo player that fits perfectly at the top of the order. Meadows only drew eight walks while striking out 25 times in 22 games with the Tigers' rookie ball team. He still managed to post a .376 on-base percentage, though, because he hits the ball hard consistently. The combination of high on-base potential and some power would make Meadows a good leadoff hitter, and as an added bonus, he has enough speed to steal a few bases. Miguel Cabrera is in this for the long haul, so Tigers fans might as well just hope he gets back to his old offensive ways. Cabrera is signed at least through 2023, with vesting options for the following two seasons if he finishes in the top 10 in MVP voting. He's making at least $30 million in 2021, so you'd better believe he'll be in the lineup. The best hitter on the team should hit in the No. 2 hole, so that's where Cabrera falls in this dream scenario. As a guy who has won a Triple Crown and back-to-back MVPs while racking up nearly 2,700 hits and 465 home runs, Cabrera still has a pretty high ceiling. The problem has been staying healthy, both in and out of the lineup. Cabrera has only played one full season since 2014, and his home run totals have taken a major hit. After totaling at least 30 homers for seven straight seasons, he's done it just once in the last five years. The Tigers need Cabrera to hit for power -- he's way too expensive to be a singles hitter. If he can get healthy and be a significant fraction of his former self, Cabrera will still be a great offensive player. 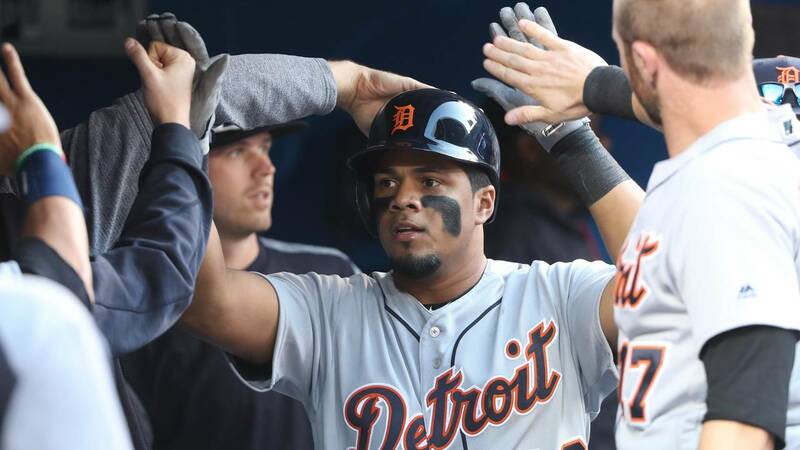 One of the few current players who's part of the Tigers' long-term plan, Jeimer Candelario got off to a great start in 2018 before an injury derailed his season. Candelario's plate discipline is what made him a top 100 prospect before he joined the Tigers full-time. He has the potential to be an elite on-base guy, as he showed with the Tigers in 2017 when he posted a .406 OBP in 27 games. Before going on the disabled list in mid-May last season, Candelario was batting .272 with a .359 OBP and .856 OPS. He had 12 doubles, three triples and five home runs in the first 37 games. Candelario, when healthy, has looked like a future middle-of-the-order bat. He'll be in the heart of his prime by 2021, so the Tigers expect him to be a centerpiece in the offense. Defense isn't one of Candelario's strengths, but he improved significantly in 2018 and became a slightly above average defensive third baseman. That type of improvement in a player's first full MLB season is encouraging. The Tigers finally gave Christin Stewart a chance at the MLB level last season, and he definitely held his own at the plate. At 25 years old, Stewart has nothing left to prove in Triple-A Toledo. He smacked 21 doubles and 23 home runs in 122 games there last season, posting an .844 OPS. He also drew 67 walks en route to a .364 OBP. Stewart has the best power in the Tigers' organization and a good enough eye to be a valuable offensive player. 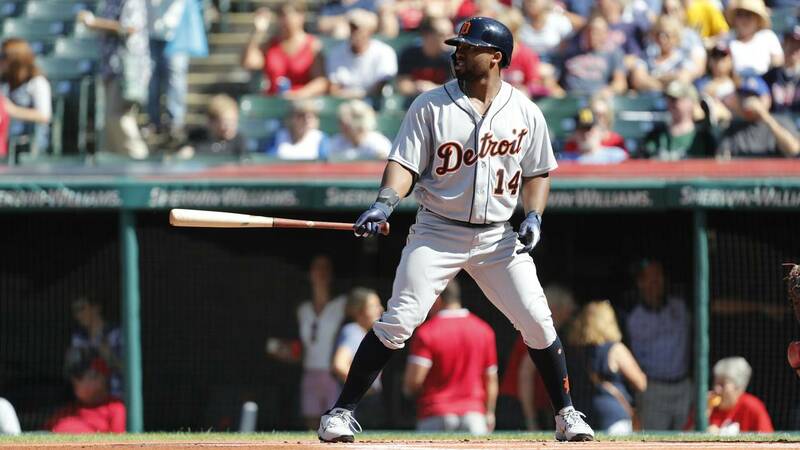 He demonstrated that with a .375 OBP and .792 OPS in 17 games with the Tigers. Defense has always been the weakness for Stewart, and that's why it would be ideal for the Tigers to use him as a designated hitter or first baseman. He is extremely valuable as an offensive player, and since the Tigers have plenty of outfielders who project as good defensive players in the future, there's no reason to force him to be something he isn't. The cleanup spot is perhaps the second most important position in a batting order, and Stewart is a powerful left-handed bat with good plate discipline. The Tigers would love to see him grow into this spot. Though Clemens was also drafted in 2018, he's more likely than Meadows to be ready by the 2021 season. Clemens was regarded as one of the Tigers' more impressive picks in the draft, and he backed that up with the West Michigan Whitecaps. In 41 games, he hit 10 doubles and four home runs while drawing 21 walks compared to 27 strikeouts. He posted a .302 average, .387 OBP and .477 slugging percentage. In his final college season, Clemens was a Golden Spikes Award finalist and the best player in the Big 12 at Texas. His power is a luxury for a future second baseman, but it's his walk-to-strikeout rate that really catches the eye. For a 22-year-old, his knowledge of the strike zone is advanced. The only real knock on Clemens is his speed, but it doesn't stop him from being an average defensive player. If he can hold his own at the position and be a plus offensive player, the Tigers would gladly hand Clemens the reins to second base. Dawel Lugo is another second base prospect in the Tigers' system, but he's struggled since being acquired in the J.D. Martinez trade. He posted a .633 OPS in the minors this season with only nine walks and three home runs in 123 games. Lugo is 23 years old, so he'll need to show more improvement soon to become a more exciting prospect than Clemens. 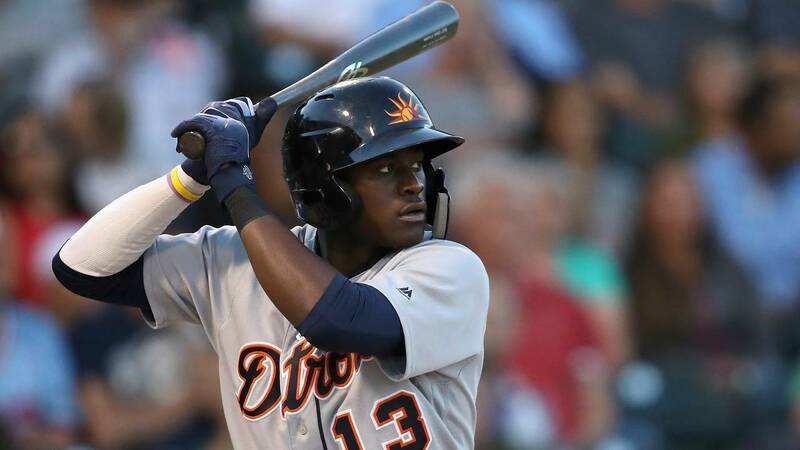 Daz Cameron is the third in a trio of highly ranked Tigers outfield prospects, just behind Stewart and Meadows. 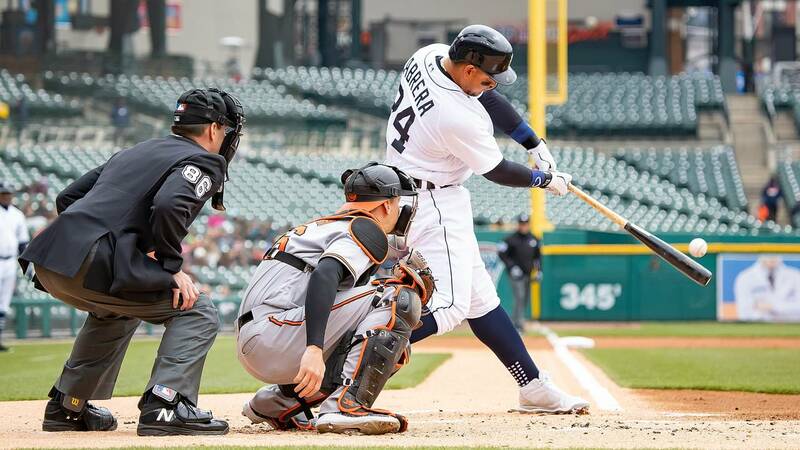 In his first full season in the Tigers' organization since the Verlander trade, Cameron acquitted himself well, totaling 42 extra-base hits while reaching base at a .343 clip. He was especially impressive at Double-A Erie, where he posted a .837 OPS in 53 games. Cameron ascended rapidly from Lakeland to Erie to Toledo in 2018, and he hit a wall in Triple-A. He'll get a shot to make improvements for a full season in 2019, and if he succeeds, he would be on track to make the MLB roster by 2021. Cameron is an excellent fielder and a fast runner. He stole 24 bases in the minors and played a strong center field. He could take over Comerica Park's center field someday, but for this lineup, we'll stick him in left, where the Tigers could really use some solid defense. In a stronger offensive lineup, Cameron would probably be a spot or two lower, but the Tigers' organization isn't exactly deep in terms of position prospects. This was a tough spot to determine because the Tigers have a handful of shortstop prospects who could ultimately take the starting job. Willi Castro is the Tigers' top-ranked infield prospect, but Isaac Paredes isn't far behind. Castro was acquired from the Indians for Leonys Martin last season and immediately paid dividends in Erie. He spent 26 games there and hit four home runs and nine doubles while posting a .928 OPS. For a Tigers organization that has spent the last four seasons with Jose Iglesias and just signed Jordy Mercer, any offense from the shortstop position would be welcome. Castro projects as a plus offensive player who's also a solid defender. While his overall offensive numbers weren't great in Cleveland's farm system, he stole 13 bases in 97 games and played strong defense. If it all comes together, the Tigers would have a major upgrade at the shortstop position. Paredes is only 19 years old, so he might be a little farther away from the MLB roster. He's also a solid offensive player, though, posting an .815 OPS with 15 homers and 28 doubles in the minors last season. The Tigers are hoping at least one of these two prospects pan out by the time they're ready to compete for a playoff spot. Catcher has become a very shaky position for the Tigers after Jake Rogers struggled in 2018. He was the third of three pieces acquired in the Verlander trade. Rogers projects as an elite defensive catcher, which is most important when considering the Tigers have a young crop of starting pitchers coming up through the system. He's got an accurate arm and is better defensively than James McCann. The question is whether he can hit enough to stick in the everyday lineup. Rogers slugged 17 home runs and 15 doubles in Erie last season but batted just .219 with 41 walks and 112 strikeouts in 99 games. His .717 OPS is below average but justifiable if he's an elite defensive catcher. Can he even produce at that level offensively for the Tigers? That remains to be seen. Either way, he's the only long-term option in the organization right now, and when he's 25 years old in 2021, the Tigers will almost certainly give him his chance. This might not be a popular choice, and understandably so -- JaCoby Jones has been an immensely frustrating hitter during his time in Detroit. But Jones is so undeniably elite defensively that the Tigers' best-case scenario has to include him. According to FanGraphs, Jones was the best outfielder in baseball last season in terms of defensive runs saved. He ranked just ahead of elite defenders Lorenzo Cain and Mookie Betts with 21 DRS while also tying for the top range rating in the league. Jones' arm strength grades out above average, and Betts is the only player of similar defensive acumen with better arm strength, according to FanGraphs. 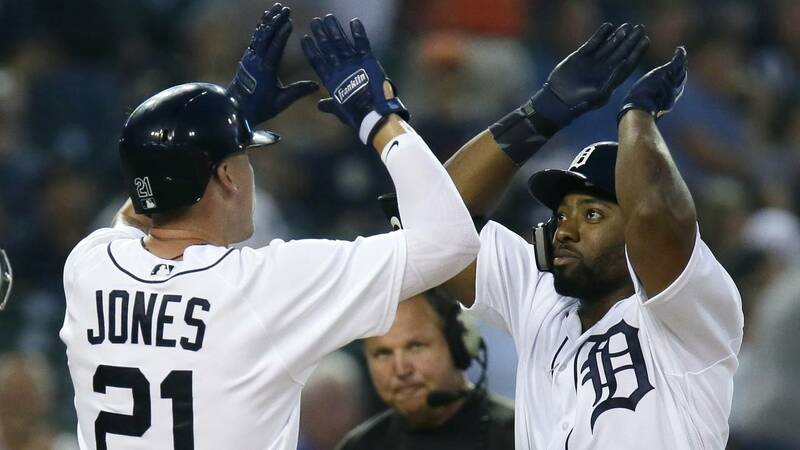 To put his defensive skills into perspective, Jones was the fourth-most valuable Tigers position player last season, with a 2.0 WAR despite batting just .207 with 142 strikeouts and a .630 OPS in 129 games. Jones showed spurts of offensive potential, hitting 22 doubles, six triples and 11 home runs while stealing 13 bases, but he struck out way too often. He has the physical skills to be at least an average MLB hitter, but his swing got too big at times and he often looked simply overmatched by fastballs. In this scenario, Jones would even be bad for a No. 9 hitter. But his defense is such a valuable asset that he still makes the starting lineup. If he can get his OPS above .700, he would be a really good center fielder for the Tigers.